The Green Bay Packers face a major early-season test at home against the defending NFC North champion Minnesota Vikings on Sunday. Even at this point in the season, Green Bay can’t afford to lose a home game to Minnesota. It would place the team behind the proverbial eight-ball. 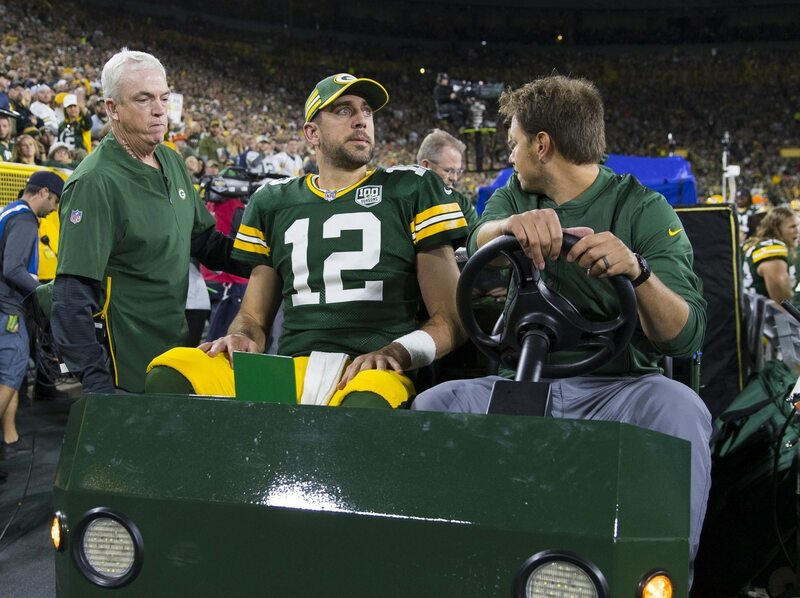 Complicating things further, future Hall of Fame quarterback Aaron Rodgers is dealing with a knee sprain he suffered in last week’s heroic comeback performance against Chicago. He’s yet to take part in practice this week and is considered questionable for the old black and blue tilt. Now comes this report from NFL Media’s Ian Rapoport indicating that the Packers might not find out about Rodgers’ status until Saturday, at the earliest. With Rodgers sidelined, DeShone Kizer has been getting first-team reps in practice for the Packers. He turned the ball over twice in limited action against the Bears last week, including this pick-six. Set to take on an even better Vikings defense on Sunday, starting Kizer would not necessarily lead to confidence that Green Bay can come out on top. It’s in this that Rodgers’ status is the talk of the NFL.